Capt. 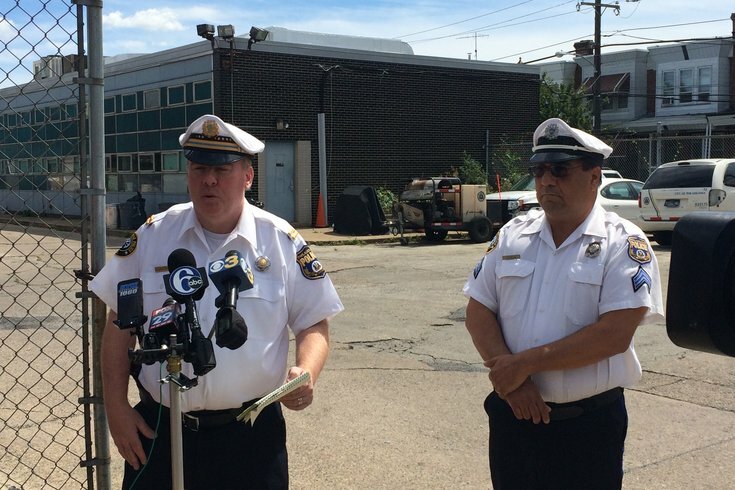 Pat Kelly, of the Philadelphia police Accident Investigation Division, details a fatal hit-and-run crash that killed a 42-year-old man in Northeast Philadelphia. A 42-year-old bicyclist was killed early Friday morning when he was struck by a vehicle in the city's Tacony neighborhood, Philadelphia police said. According to authorities, the vehicle — a silver Buick — struck the man as he rode along the 5700 block of Frankford Avenue at about 12:45 a.m.
During a press conference early Friday afternoon, police identified the victim as Matthew Matteson. According to Capt. Pat Kelly of the Accident Investigation Division, at about noon Friday, the driver of the vehicle turned himself in and is cooperating with officers. "We have recovered the vehicle," Kelly said. Kelly declined to identify the driver, saying the man has not been charged and that it is too early to know if he will be. "That's going to be up to the DA's office." Kelly said. "We just started talking to him." Kelly said the driver had approached officers patrolling along the 5300 block of Bustleton Avenue and told them he believed he was involved in an incident. Then took the officers to the location of the damaged vehicle. As of 1:30 p.m., Kelly said the driver was being interviewed by police. According to police, the fatal incident occurred when the Buick was traveling northbound on Frankford Avenue and Matteson was in the bike lane. Kelly said they are still investigating the cause of the crash, but at some point, the car struck Matteson and he fell against the hood of the vehicle. Matteson was thrown 114 feet before coming to a rest on the street, police said. He sustained severe injuries and was pronounced dead at the scene, investigators said. Police said the vehicle fled the scene, but officers found car parts, including a mirror and headlight pieces, left on the road.